Producing the best possible race? Run! Quick question: Are you already considering the environmental impact of your event? We strongly believe that the support and planning of Green Events begins with the use of event technologies. It’s not for nothing that the event industry has been one of the most produced waste industries in recent years, so it has had an enormous impact on the environment in recent years – but thanks to internal movements to promote sustainability and the increased use of event technologies, we are improving our reputation. Innovation in all areas is imperative – especially the use of event technologies makes it easier than ever to reduce environmental impact and develop a strategy for planning green events. And this is not just our opinion. 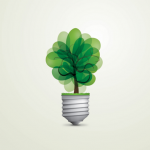 Many available studies and advocates indicate that more than 70% of event planners say going green is an important part of their event strategy. With eventbaxx we also enable event planners to significantly reduce the amount of resources and waste they use for their sponsoring activities and at the same time discover completely new opportunities, such as new revenue streams and at the same time measurability. Let’s check: So how does event technology actually help? Just think how much new technologies or mobile technologies have influenced your everyday life and will continue to do so. So it’s more than understandable that it has also changed the events we plan and attend. Our personal communications have changed the way we interact with our environment, our acquaintances and, of course, events. Thanks to their efficiency in planning and networking, especially event apps have become a widespread component. In addition to many other advantages, the obvious environmental advantage is that they increasingly reduce our dependence on paper and printing materials. A commitment to reducing paper consumption, coupled with a commitment to providing great event technologies, is a perfect start for anyone who wants to improve their “green event” thinking. Many companies are committed to working paperless, which means reducing their CO2 footprint – so what are you waiting for? Let’s do it! To underline this further: Over 90% of event planners report in several studies that the best way to become green is to reduce printing and shipping. Over 80% of event planners already using event technology say they have reduced or eliminated paper printing. 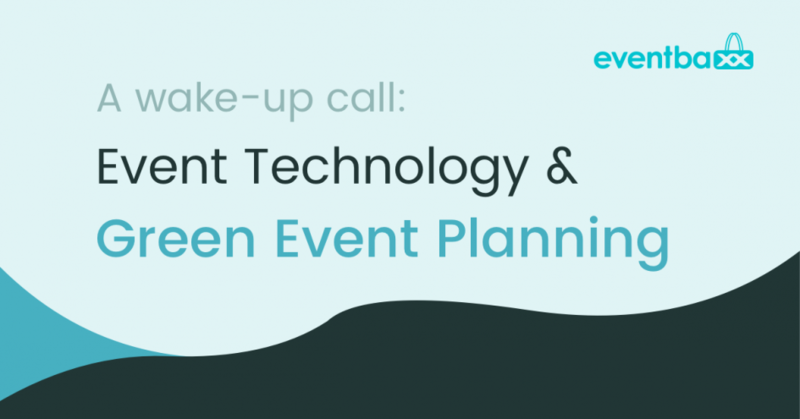 In addition, over 85% of planners say event technology makes an event better, and you have a recipe for a positive ROI, satisfied participants and less environmental impact! And!…Going green doesn’t have to be expensive. A common concern or even fear when adding sustainability measures to your event schedule is that the resources needed to do so outweigh any benefits you might derive from being a more environmentally friendly event. While this applies to large, far-reaching measures, it does not apply to the introduction of event technologies. 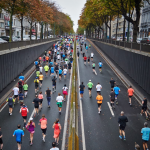 Event apps and event technologies are in most cases associated with a reduction in communication costs per participant. Studies show that the use of an event app or the introduction of similar event technologies generates approximately 1-1.5% of the cost per attendee of an event. Funnily enough, printing materials is said to double the cost! 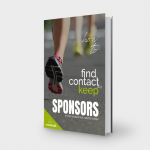 I had recently been to a customer who spends as much as €4000 a year on a conference booklet filled with information and sponsor content for 200 attendees to find 85% of it in the trash the same or next day. To finish the whole thing off: No matter what kind of event you are organizing, replacing paper and printed materials with event technology will always reduce your costs! While the event industry and the planning of green events have made a lot of progress over the past decade, there is still room for improvement. Especially for smaller or medium-sized events it is often difficult to take this step – so even smaller events do not introduce many event technologies. We at eventbaxx have set ourselves the goal of making our event technology accessible to all event sizes and were able to improve our pricing model accordingly with our last launch. We hope that we will see an increase in this number in the smaller and medium-sized segment over the next few years. However, the indicators for growth in the use of event technologies are quite encouraging. About 50% of the event planners say that they want to use more apps and technologies in the future and over 43% say that their participants now expect an app or even new technologies. 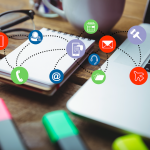 As you continue to think about green event planning and reduce your footprint, think about the power of event technology to replace much of your current communication and processes. If you want to try multi-awarded event technology for the first time, we invite you to use eventbaxx for free – try it now and immediately add some sustainability to your next event and transform your sponsorship opportunities into the digital age! Get awesome articles in your inbox! 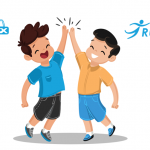 The newsletter will be sent on a regular base and contains content from eventbaxx.